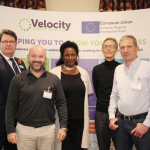 Peter Thompson, CanTrack Global Ltd, Karen Adams, The Prosperous Shop, David Foster, Halo Coffee and Verity Williams from Travis Perkins PLC were among the inspirational speakers for this year’s business growth event, hosted by Velocity Growth Hub. ‘Show Me Success’ that took place on 1st November at Hilton Hotel, Milton Keynes, brought together SME business founders and directors from across the South East Midlands, to celebrate their business growth success and share their experiences, tips and lessons learned with other aspiring businesses. Focusing on three core business themes, Scaling-up, Developing Skills and Finance the event also heard from Malcolm Johnston, Interim Manager for Velocity Growth Hub about the forthcoming Scale-up support from the Growth Hub and Jonathan Lawson, Goldman Sachs talked through the 10,000 Small Business Programme. 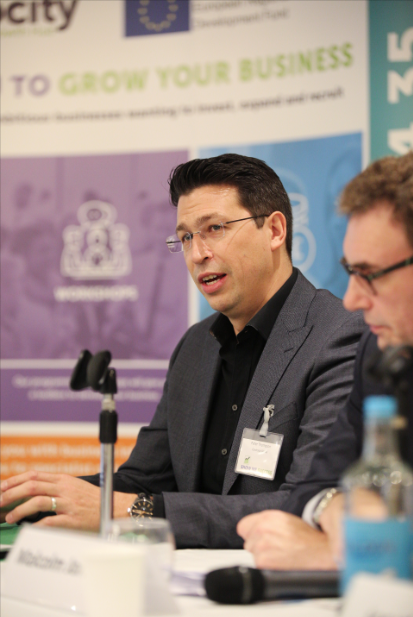 Speaking alongside Paul Thompson, Skills and Employment Manager at SEMLEP, Northamptonshire-based Travis Perkins PLC took questions from the audience about how they have realised the value of apprenticeships in their business through a high-quality apprenticeship programme and how this can benefit SMEs. 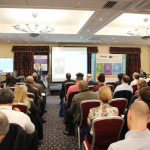 The 5-strong finance panel provided advice and information about the wide-range of finance available as well as the support provided to help businesses access funding options, including grants available. 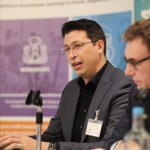 Speakers also included Stephen Page from Start-up Funding Club, Andrew Moon from Bizfly and Lewis Stringer from British Business Bank. 18 organisations exhibited at the event attended by over 100 people. 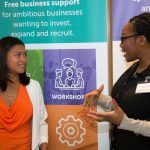 This included services and business support projects to assist business growth, ranging from marketing solutions, HR advice, employee skills and apprenticeships, finance and accelerator and incubator programmes. 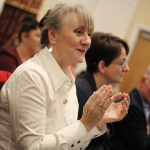 Information about the exhibitors will be available in the Resources Section of the website from 10th November. 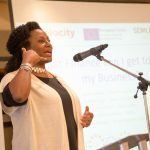 You can find out more about all the business support available to you and about the Velocity Growth Hub grants, advice and workshops by speaking to the team directly on 0300 01234 35, emailing enquiries@velocitygrowthhub.com.